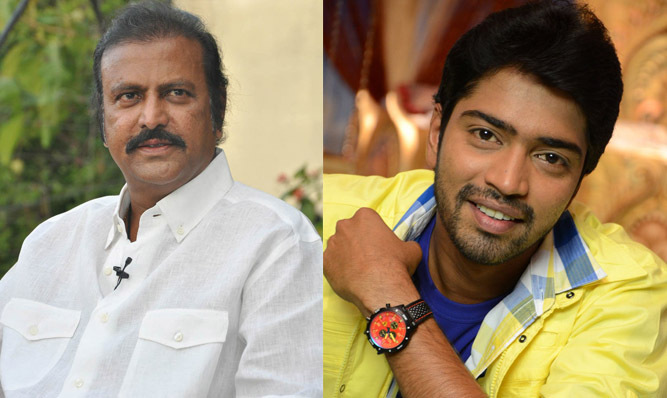 Mohan Babu and Allari Naresh's Movie Title! Mohan Babu and Allari Naresh’s Movie Title! Earlier Chitramala reported that comedy hero Allari Naresh and Mohan Babu teaming up for a new film under the direction of Srinivasa Reddy of Damarakum fame. Now the latest buzz is that the movie has been titled as “Mama Manchu Alludu Kanchu”, which is a catchy title. The regular shooting of the movie is going to start soon. Another buzz is that senior actresses Ramya Krishna and Meena are going to team up with Mohan Babu in this flick. They have paired up earlier for the film “Allari Mogudu”. Now once again we are seeing them on the screen after a long gap. The heroine is Poorna is going to pairing up with Allari Naresh in this flick. Manchu Vishnu is going to produce this film under his own banner 24 Frames Factory. Achu, Bappi Lahari, and Raghu Kunche will compose the music for this flick.